Showing 1 - 10 of 15 products in the Certification Materials category. Short Description Text provides important details on a variety of safety topics related to the groundwater industry. Short Description This book is a compilation of works from long-time Water Well Journal® columnist Ed Butts. Short Description This is the third edition to what is our top-selling reference book year after year! This tremendous resource should be on your desk if you are serious about the groundwater industry. Short Description This fifth edition was put together by an NGWA volunteer work group to provide updated information on the original guidelines published by NGWA in 1997, 2009, 2010, and 2016. Short Description This book presents practices used in the design and installation of groundwater monitoring wells. Short Description Among the definitions of a lexicon is "a special vocabulary" and this is the National Ground Water Association's version, which contains more than 2,000 industry terms. Short Description This third edition provides a comprehensive look at current well construction methods. Short Description This CD provides a complete safety program manual for those working in the groundwater industry. 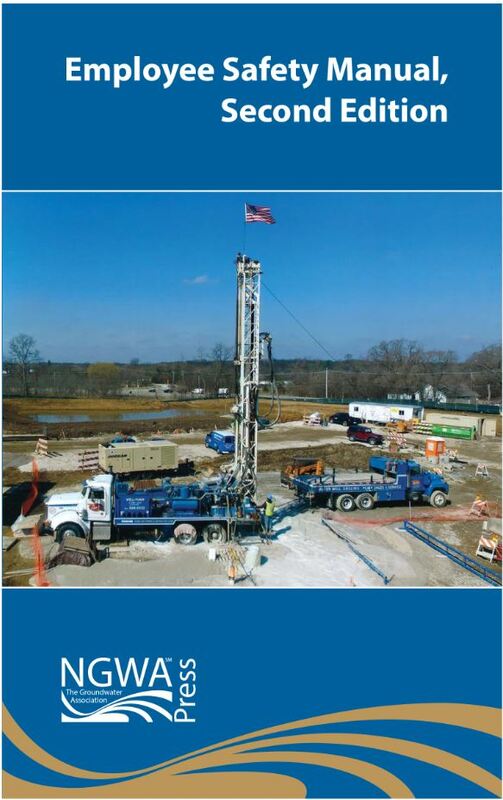 Short Description An excellent guide for those who plan, design, and drill water wells, the Procedures for Well Drilling Operations CD is taken from a manual put together by the U.S. Air Force, Army, and Navy.